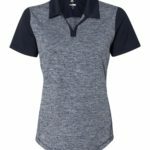 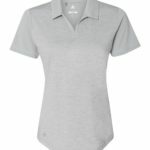 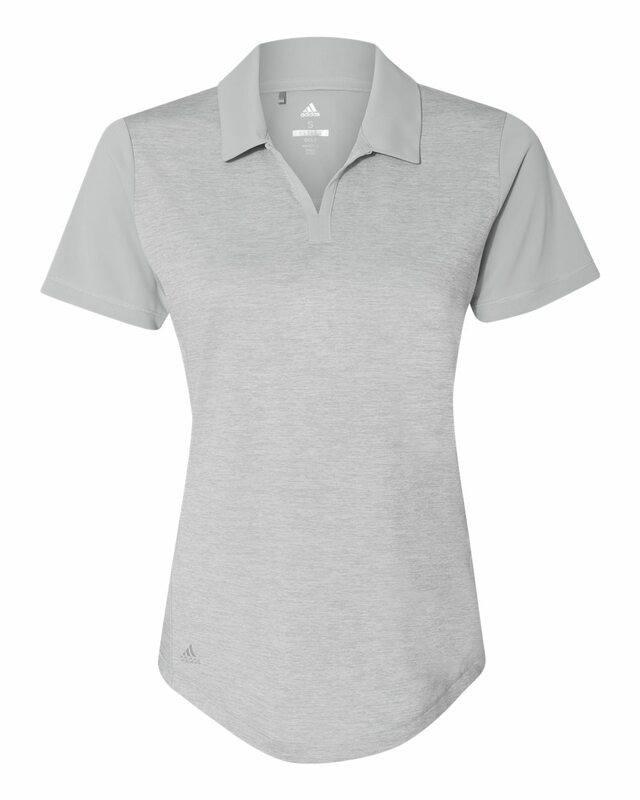 A NEW style for 2018 is the Adidas A146 women’s heatherblock sport shirt. 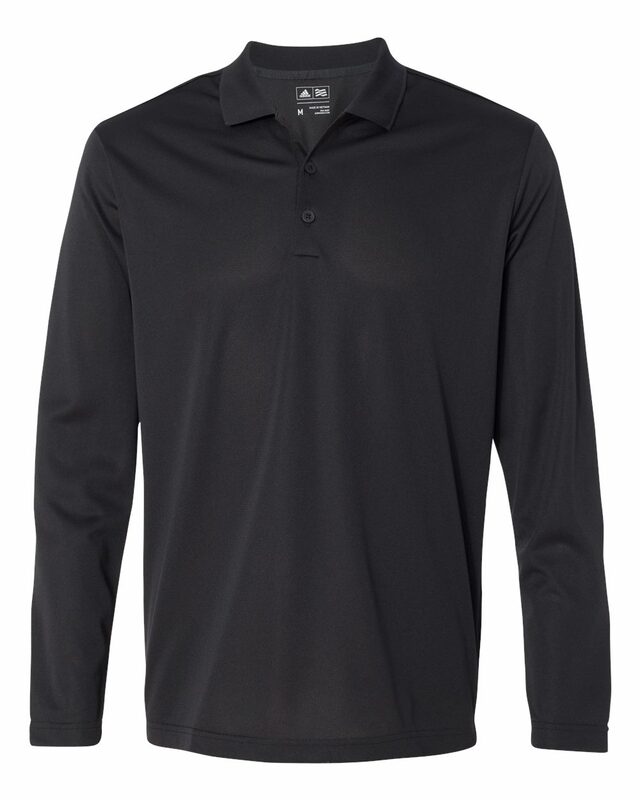 It’s made with 100% polyester and features an open neck placket. 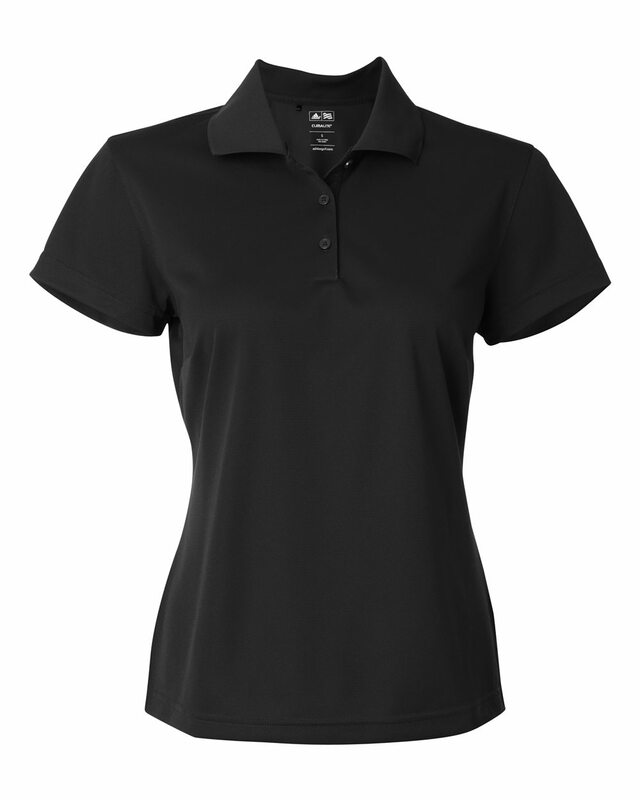 There is a slight curve at the bottom of the shirt for a feminine silhouette. 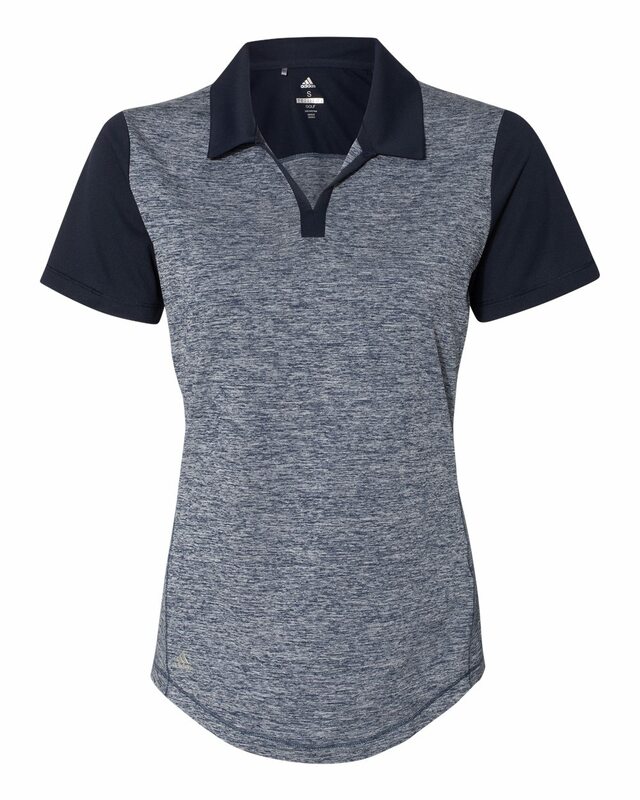 Other great features include heathered front and back body, self-collar, and a metallic sliver logo at bodice. 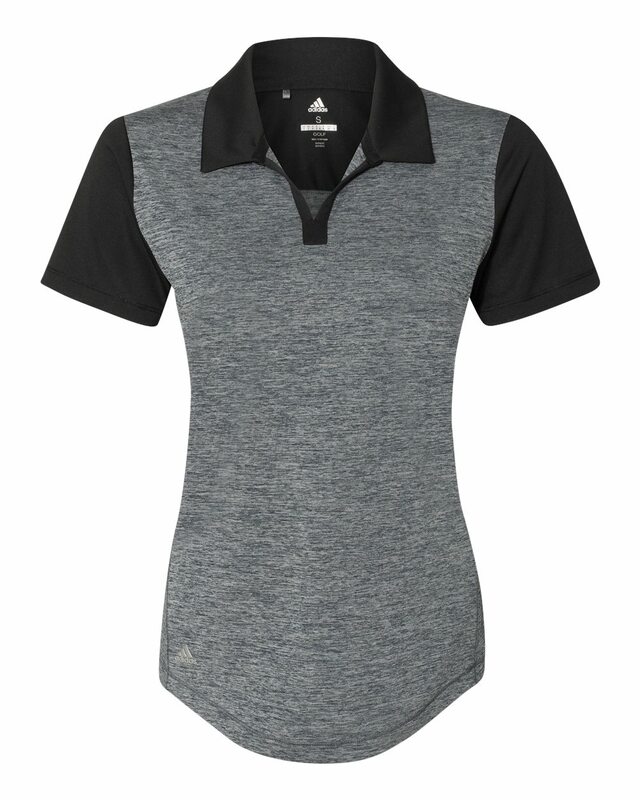 A male comparable shirt is the Adidas A145.